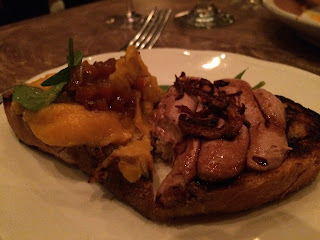 Our latest meal with two of our best friends was at Balena, a restaurant in the Lincoln Park area. 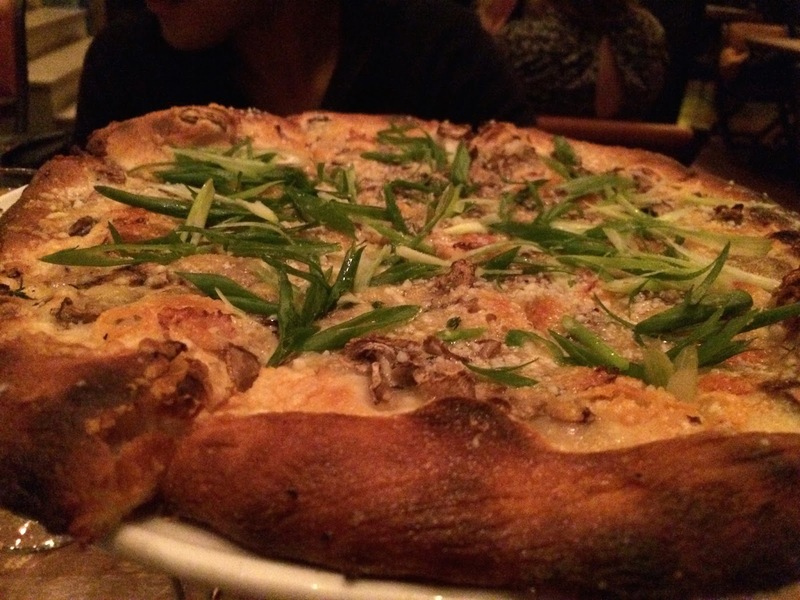 The atmosphere was very rustic and casual with a huge whiskey bar and menu offerings that included several pizza options. The two appetizers we chose were perfect for the table. The butternut squash was very fresh and had a nice sweetness to it, while the liver mousse was as expected -- rich and creamy. The size was definitely small, especially for the nearly $10 per bruschetta price tag, but it was a nice way to start the meal. The pizza choices were a little on the disappointing side with nothing that jumped out as being unique. We decided to stick with the classic margherita and then the other vegetarian option, the mushroom taleggio cheese pizza. 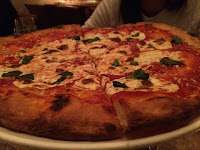 Both options were tasty with a nice crunch crust and tons of flavor. That taleggio cheese and mushroom was my favorite especially when you add their house chili oil. It was salty for some people at the table, but for me, it was great. Finally, one great option Balena offered was half plate pastas. This gives the customer the chance to try even more of their offerings. 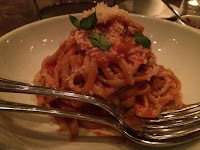 Both pastas were cooked perfectly - soft, yet a little bite to it. 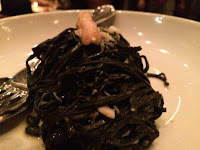 The squid ink pasta was as expected -- strong seafood flavors, despite only have a small piece of crab sitting on top. Wish there was more crab, but what can you expect for $14 for a half portion. Overall, I think Balena is a good, solid option for any typical weekend night. I don't see it as a "special occasion" night mainly because their food options, though tasty, are classic and honestly, nothing unique. I still would recommend people to give it a try. I always read your blogs as i also love to experince new kinds of food..Not sure about that appetizer but pizza and pasta looks so delicious.